A young, energetic, sassy, 8-piece band that will blow your mind away! With a cool, club style show, and an amazing repertoire of Top-40 hits in addition to any other style or language you would like to be played, JBand will create that club feel wedding you were looking for. The energy is contagious! The Charisma is phenomenal! And the heat is on!! JBand can come as a band only, or as a band with a DJ. The DJ doesn’t only play when the band rests, but plays with the band, adding the sounds and kicks the music needs to feel electronic and up to date. JBand is perfectly designed for Corporate events as well as weddings. It will give your crowd the great mix of new and old we all love, while keeping it authentic and real. JBand will unite your company while making them feel like they don’t have to think about anything but having the best time of their lives! 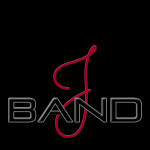 Let JBand set the beat for your wedding or corporate event!